A rare rainy week in LA has me reminiscing about beach vacations past while creating a hypothetical packing list of what I'll wear the next time I get out of town (or spend a day by the pool). Here are a few styles I’m filing away for a sunny day. Matteau Square Maillot in Cocoa; $280. Eres Les Essentials Cassiopée Bandeau; $425. Solid & Striped Anne-Marie in Bordeaux; $72. Marysia Swim Mott Scallop-Edged Swimsuit; $167. Mara Hoffman Olympia Ribbed Swimsuit in Rust; $275. 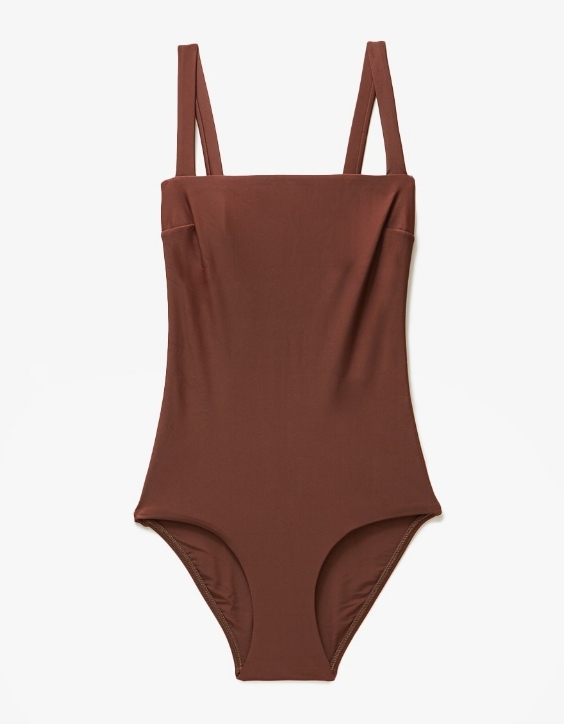 Araks Elmar One Piece; $325.